Back in April we discussed Ireland's attempt to restructure the so-called promissory note (see discussion and diagram). It seems that last night they finally succeeded. NYTimes: - The Irish government reached a deal on Thursday to restructure debt tied to local struggling banks, as the country tries to shrug off the financial burden that it inherited during the recent debt crisis. The hard-fought agreement, which followed 18 months of negotiations with the European Central Bank, will have Ireland swap 28 billion euros of so-called high-interest promissory notes — a form of i.o.u.’s — that were used to bail out Anglo Irish Bank in 2009 for long-term government debt. Although crucial details of the agreement were not immediately disclosed, it appeared to mark another important milestone in Ireland’s slow emergence from a banking and real estate crisis that has cut living standards, caused unemployment to soar and left cities scarred by half-finished building projects. During the crisis the Irish government made the holders of Anglo Irish Bank senior unsecured debt whole instead of forcing them to take a haircut. The nation was pressured by the EU to do so because so many European banks had held Anglo Irish Bank bonds, and the EU was concerned about contagion. That was a mistake because it cost the Irish taxpayer 20% of the GDP. Ireland therefore pressured the EU and the ECB to allow them to swap the promissory note (PN) for long-term government debt (34yr average maturity) - effectively as a payment for taking it "for the team" in 2009. 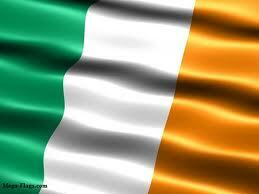 The outcome is quite positive for the nation as it improves Ireland's fiscal situation going forward. Barclays Capital: - First, from a political perspective, the Irish government had strongly committed to ease the terms of the PNs, in part as a compensation for the costly bail-out of senior unsecured bondholders of Anglo Irish bank, which resulted in costs of c.20% of GDP for the Irish tax payer. Quoting the Irish prime minister, “this government is undoing the disastrous banking policies that brought this State to the brink of national bankruptcy”. Second, the extension of the PNs maturity and reduction in interest rates will improve the chances of Ireland hitting its future fiscal targets, including reaching a deficit of below 3% of GDP by 2015. The reduction in interest payments would either reduce Ireland’s deficit (eg, in 2013 the interest cost on the PNs would have amounted to EUR1.9bn, about 1.2% of GDP) or liberate fiscal resources to reduce taxes or increase public expenditures. Perhaps, more importantly, the maturity extension of the PNs will reduce Ireland’s funding needs in the coming years and will also facilitate the exit from official funding and the return to the markets with a regular issuance schedule, possibly in H2 2013. The PNs had costly interest payments starting in 2013 of well over 1% of GDP and would have continued in the coming years at a steep pace. Furthermore, Ireland successfully concluded its 9th troika review, showing that the nation is on path to exit the EU bailout program by the end of the year. The markets have responded accordingly, as Irish sovereign debt yields hit another post-euro-crisis lows. Clearly the banking sector is still in the deleveraging mode (see post), as economic conditions remain fragile. But the nation has been able to overcome some major hurdles recently.